From the late 1920s through World War II, film became a crucial tool in the state of Japan. 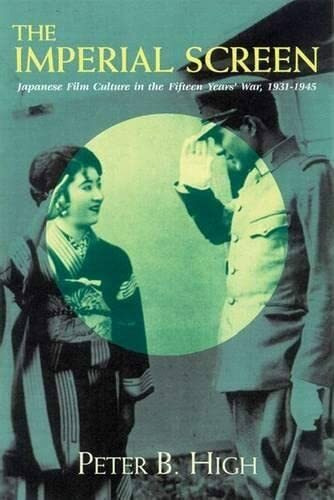 Detailing the way Japanese directors, scriptwriters, company officials, and bureaucrats colluded to produce films that supported the war effort,The Imperial Screen is a highly-readable account of the realities of cultural life in wartime Japan. Widely hailed as "epoch-making" by the Japanese press, it presents the most comprehensive survey yet published of "national policy" films, relating their montage and dramatic structures to the cultural currents, government policies, and propaganda goals of the era. Peter B. High’s treatment of the Japanese film world as a microcosm of the entire sphere of Japanese wartime culture demonstrates what happens when conscientious artists and intellectuals become enmeshed in a totalitarian regime. Peter B. High is professor of film and language at Nagoya University in Japan.